When you come in for your first appointment, whether it is chiropractic, nutritional counseling, weight loss, massage therapy for work injury, pain management, or for general health, expect a warm and friendly welcome from our chiropractor and staff. We are glad you are considering Dr. Phillips Chiropractic, Nutrition and Wellness as your chiropractor. Here in San Antonio, TX our practice provides relief and remedy for a variety of issues. Take a look at some of the services we offer here at Dr. Phillips Chiropractic, Nutrition and Wellness. Whether you need chiropractic care to treat an injury or for pain relief, we have you covered. Our chiropractor provides spinal adjustments, spinal decompression, cold laser therapy, and multiple other therapies. 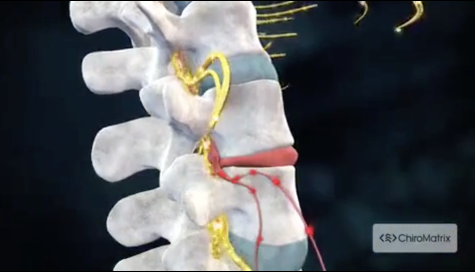 Non-surgical spinal decompression allows your chiropractic professional to gently decompress the disc herniation or bulging disc, relieving pressure on the nerve and reducing pain. This is the general understanding of how a spinal decompression table helps with a disc herniation. Cold laser therapy utilizes certain wavelengths of energy to help promote healing of muscle and ligament tissue. Low level laser therapy treatment offers relief along with spinal decompression for total chiropractic care. The majority of our patients are searching for pain management without the use of addictive painkillers. Here at Dr. Phillips Chiropractic, Nutrition and Wellness in San Antonio, TX our pain relief treatments are completely natural, involving holistic remedies. By addressing the root of pain, we get to the base of the physical ailment. Once that problem has been resolved the use for pain management disappears. The practice of physiotherapy involves treating people using exercise, movement, education and nutrition. Through years of training and first-hand experience Dr. Phillips is well versed in the application of this type of therapy. Here at our office we provide a full range of services in physiotherapy. Our clients can receive physiotherapy in addition to chiropractic care as a way to treat their overall physical conditions. We believe that nutrition plays an increasingly important part in the way our bodies heal themselves. Without proper nutritional intake your period of recovery from illness or injury will be much longer. If you aren’t sure about what type of nutritional program you should be on, we are here to help. During your chiropractic care and physiotherapy here at Dr. Phillips Chiropractic, Nutrition and Wellness, your care providers will introduce you to nutritional programs geared at healing your body and boosting your wellness. Now that you understand more about the variety of chiropractic services we offer here at Dr. Phillips Chiropractic, Nutrition and Wellness in San Antonio, we want to hear from you. After a consultation regarding your physical state and questions regarding chiropractic services, we will help you determine the proper level of care for your treatment plan. Please give us a call at (210) 545-1144 and make a consultation appointment with our chiropractor. We look forward to having you a part of our new patient center!